La Caseta del Romero or “rosemary house” together with the pond greenhouse and the smaller greenhouses were built at the end of the 19th century and were restored a century later. 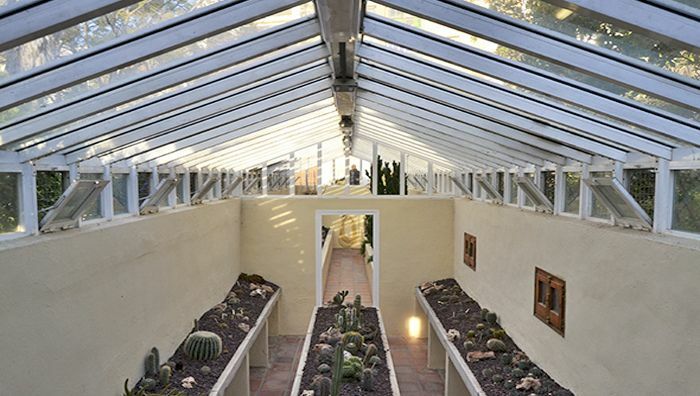 Concerning the former, in the past it was a hot-house with ferns, but it was later converted to grow succulent plants by installing heating and misting systems. One enters via a shed that used to house the boiler used for heating. 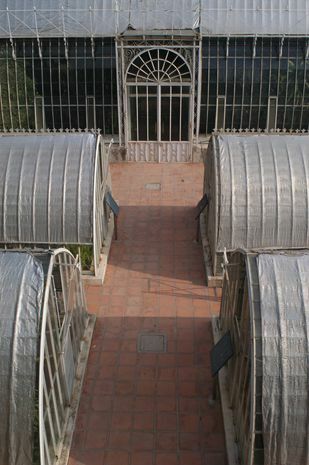 Behind this we find the pond greenhouse, which replaced the wooden one designed by Timoteo Calvo. 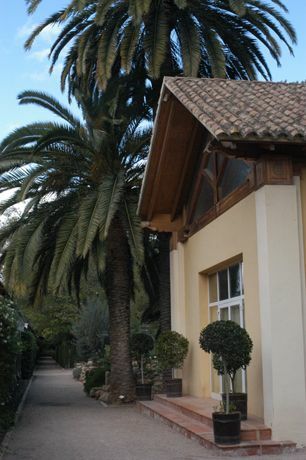 It covers a surface area of 150 sq m2, is 6 m high and houses the tropical plants, thus irrigation, shading and heating systems were installed when it was restored. 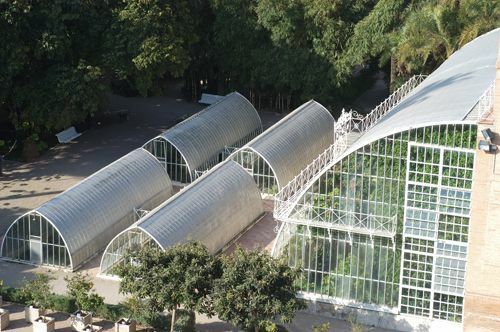 Under José Arévalo Baca’s directorship of the Garden, four iron-and-glass greenhouses were built, which are located in front of the tropical greenhouse. All are similar in design and size, measuring 3.5 m in height and covering a surface area of 40 sq m 2. In the past they were used for nurturing plants that were later moved to the different collections in the Garden. When the restoration took place, they were turned into exhibition halls, open to the public, and today they house the ferns, orchids, bromeliads and the carnivorous plants. The orangery, or conservatory, was another building to be converted. After having first been used as an aquarium, it is currently used as a multi-purpose hall. 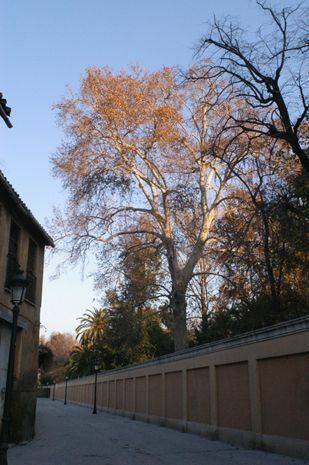 Finally, the wall surrounding El Botànic is the original one that fenced in the Huerto de Tramoyeres. 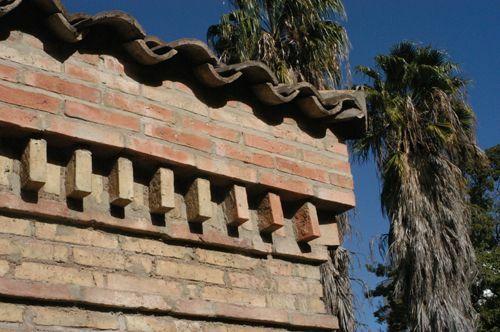 It was restored and adapted for its new purpose by adding pillars to the inner wall to support the climbing plants.